Paperback, 6.75 x 7.5 in. 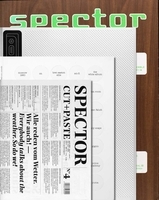 / 144 pgs / 80 color. 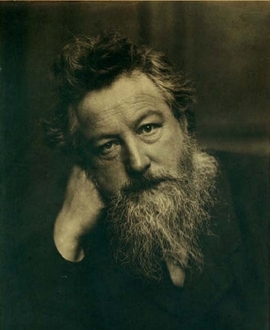 William Morris (1834-1896) was a radical thinker whose democratic vision for society and art has continued to influence designers, artists and writers to this day. He was a gifted poet, architect, painter, writer and textile designer, who also founded the Kelmscott Press, the most famous of the Arts and Crafts private presses. Morris' ideas later came to influence numerous artists and craftspeople who sought to negotiate a viable place within the modern world in the troubled years that followed the First World War. His ideals inspired designers, including those who contributed to the 1951 Festival of Britain, with a direct sense of mission to bring the highest design standards within the reach of everyone. 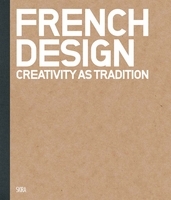 This collection of quotations by Morris, his friends, associates and those who came after, including Oscar Wilde and George Bernard Shaw, among others, reveals and explores his passionately held view that beautiful, functional design should be accessible to all. 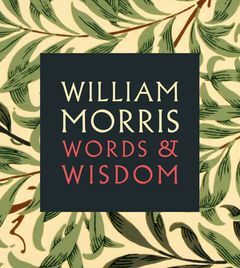 Featured image is reproduced from William Morris: Words & Wisdom. FORMAT: Pbk, 6.75 x 7.5 in. / 144 pgs / 80 color.